Dean Baker ’80 saw it coming. But if anything, his gloomy forecasts now look conservative. During the terrible week of Oct. 6, 2008—Black Week, as it was later dubbed on Wall Street—the Dow Jones industrial average fell nearly 2,000 points, about 18 percent. It was the worst weekly decline in the index’s history but only the latest blow in a burgeoning economic crisis. The $8 trillion housing bubble had burst, taking with it some of the nation’s largest financial institutions—like Lehman Brothers—and putting others such as AIG and Citigroup on life support with government dollars. By Black Week, the nation was in a deep recession: 10.1 million Americans were unemployed. Now, more than a year later, as the nation continues to grapple with the fallout, one has to wonder why so few saw this calamity coming, especially professional economists and regulators. In 2005, Ben Bernanke, the Federal Reserve Board chairman and former Princeton professor, said rising home prices “largely reflect strong economic fundamentals.” Even after the onset of the financial crisis, Bernanke’s once-lionized predecessor, Alan Greenspan, was at a loss to explain it. “I still do not fully understand why it happened,” he told Congress last year. In some circles, it’s become fashionable to portray the crisis as a “black swan,” a term coined by New York University professor Nassim Nicholas Taleb for hard-to-predict events of enormous magnitude. But not everyone was caught off-guard. One of the few economists who issued frequent public warnings about the housing bubble was Dean Baker, co-founder and co-director of the Center for Economic and Policy Research (CEPR) in Washington, D.C. In August 2002, Baker published a paper titled “The Run-Up in Home Prices: Is It Real or Is It Another Bubble?” Using the simplest of economic measures—the relationship between the cost of renting and buying a house—Baker concluded that there was in fact a housing bubble. The inevitable correction could devastate the economy, he warned. If anything, Baker’s gloomy forecasts now look conservative. But when fortunes were being made riding the housing bubble, few wanted to hear it. Once the bubble began to burst in 2006, Baker’s prescient warnings lent him increased gravitas as the national conversation quickly shifted from questions about how the bubble happened and who was to blame to how best to right the nation’s economy. In his books, papers, and frequent media appearances, Baker continues to tackle this question—often in eccentric and provocative ways. Even now, Baker says, many economists and policy makers don’t take his ideas seriously. But they fail to do so at the country’s peril, for if Baker is right the housing bubble’s damage is far from done. “HE WAS HOSTILE TO ECONOMICS, and we fought incessantly”—that’s how David Weiman, a former economics professor at Swarthmore (now at Barnard), recalls his early impressions of Dean Baker in the classroom. By the second semester of his junior year, Baker had yet to take a course in the subject, but that was about to change. After his sophomore year, Baker took a year off to work his way around the world with a friend. When he returned, Baker heard about a new professor, Weiman, who was teaching a course on the economic history of the United States. Baker’s course schedule was already full, so he audited the class. “I was fascinated by it,” Baker says. 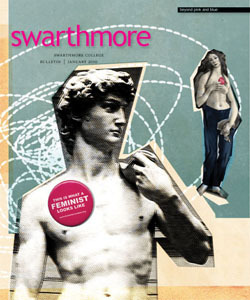 At first, Baker was hostile to economics as a discipline—largely, Weiman suspects, because Swarthmore’s department at the time, and much of the field, was dominated by conservatives. “But he saw that not everyone took that approach,” Weiman says. Before beginning his senior year, Baker asked Weiman for advice about going to graduate school for economics. “He said it was doable,” Baker recalls. Baker earned a master’s at the University of Denver—where he studied under Weiman’s former professor David Levine—and a Ph.D. from the University of Michigan. “Michigan had several progressive economists, but they were outcasts in the department,” Baker says. He then landed a tenure-track position at Bucknell. “I enjoyed teaching, but I really wanted to do policy work,” he says. In 1992, he left Bucknell for a job at the Economic Policy Institute, a Washington think tank that focuses on low- and middle-income Americans, staying there for more than a decade before founding the CEPR in 1999 with fellow Michigan Ph.D. Mark Weisbrot. But according to Baker, recent crashes were not black swans. Indeed, Baker predicted both the stock bubble and the housing crisis using simple math—rejecting the increasingly complicated algorithmic models that caused so many economists, regulators, and over-leveraged bankers to swoon. “I was talking about the stock bubble in 1998, two years before it burst,” Baker says. What prompted his alarm was that soaring stock prices were not being matched or driven by a similar rise in corporate earnings—using a time-honored measure of value, the price-earnings ratio (PE). People expected future earnings to grow rapidly—and if they doubled without stock prices rising, the PE ratio would return to historic levels. But even in 1999, that appeared highly unlikely. At the time, the Congressional Budget Office predicted that corporate profits would be about 16 percent higher in 2004 than in 1999. This proved a conservative projection—actual profits rose about 27 percent in this period. But once inflation was accounted for, even the higher number became negligible. If the stock prices didn’t rise, then the only return people would see was a dividend payment—typically less than 1.5 percent of the share price. In that case, they’d be better off investing in government bonds that paid 5.7 percent annual interest. And if stock prices continued to rise, Baker argued, the PE ratio would become even further skewed, prolonging the bubble and exacerbating the inevitable crash. The stock bubble burst in 2000, plunging the country into a recession. In response, the Federal Reserve lowered interest rates from 6.5 percent in December 2000 to 1.75 percent by the end of 2001. As the country lost jobs, the Bush administration pushed tax cuts through Congress, and the trade deficit continued to grow. In 1996, BAKER AND HIS WIFE BOUGHT a $160,000 apartment in Washington, D.C. After making a 20 percent down payment, their monthly mortgage, fees, and taxes came to $1,350—considerably less than what they’d pay in rent for a similar unit. Soon after, housing prices soared throughout the country. The Bakers sold the apartment in 2004 for $445,000—a 158 percent gain after adjusting for inflation—and rented a similar one in the same neighborhood for $2,200 a month. Historically, the price of owning and renting had been proportional. But that changed with the housing bubble. In his prescient 2002 article, Baker noted that in the previous seven years, housing prices had risen 30 percent more than the rate of inflation. Yale economist Robert Schiller—who also warned about the housing bubble—demonstrated using government data and simple math that, for the previous century, housing prices had tracked inflation. The baby boomers had already purchased homes, Baker argued, so the price surge couldn’t be explained “by an increase in the demand for housing relative to other consumption goods, since the nation’s demographics actually suggest that the relative demand for housing should be decreasing.” Rather, people were buying houses as investments, often over-leveraging themselves in the process, because they believed—against history—that their homes would continue to rise in value. Baker’s warnings were drowned out by the assurances of the country’s most powerful economists—most notably Fed chairman Alan Greenspan, who had, in fact, recognized the stock bubble but chose to let it run its course. In 2002, Greenspan testified to Congress that there was no housing bubble. The following year, he compounded his mistake by suggesting homeowners take out adjustable-rate mortgages instead of the traditional fixed-rate 30-year mortgages. (“At the time, the 30-year mortgage rate was near a 50-year low,” Baker observes in Plunder and Blunder.) Greenspan’s Delphic proclamations were seconded by other economists and media pundits. Among the most brazen examples: In 2005, David Lereah, chief economist of the National Association of Realtors, published a book called Why the Real Estate Boom Will Not Bust–and How You Can Profit from It. THE NATION'S HOUSING MARKET WILL CONTINUE to fall, Baker says. “There’s still a glut of inventory.” As homeowners continue to default on their mortgages, Baker has proposed one possible solution: allow them to lose their equity but stay in their homes and pay rent instead. Baker’s idea has won support in unlikely corners—“the first people who said this was a good idea were conservative Republicans,” including American Enterprise Institute Fellow Desmond Lachman and Andrew Samwick, former economic adviser to President George W. Bush. Arizona Democratic Congressman Raúl Rijalva introduced an “own-to-rent” bill to the House in 2008, but it has yet to make it out of committee. Though Bernanke said in September that the recession “is very likely over,” Baker says that message belies a generally gloomy economic climate that may well last for several years. The economy will show growth, but it will also “continue to shed jobs, and unemployment will almost certainly keep rising well into 2010.” For most of the country, it won’t look like the economy is recovering. Meanwhile, to help curb unemployment, Baker proposed that companies receive tax credits to give their employees paid time off. “If you want to get the economy close to full employment, I can’t think of a better idea,” he says. “We tell companies to give their workers 10 percent of their work year off, and the government covers the tab. Meanwhile, there’s still the same demand for their goods, so in principle they’d hire more workers to meet it. But many people think Baker’s ideas provide a necessary corrective to much of to-day’s public discussion on economic policy. 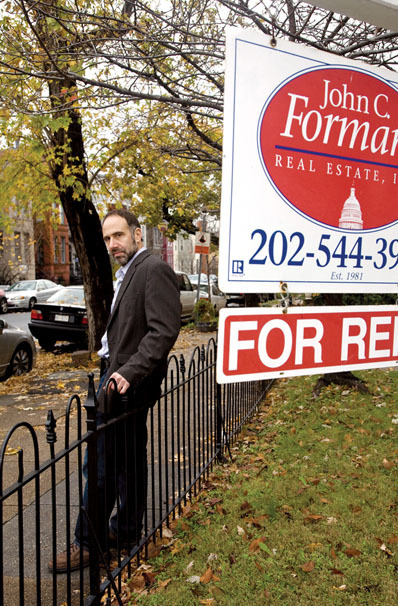 Paul Wachter, a journalist in Manhattan—where he rents—is the co-founder, along with Phil Ryan ’96, of againstdumb.com. As economics majors, we write in response to your recent article on the economist and Swarthmore graduate Dean Baker (“Bubblebuster,” January 2010). While we have more than one quibble with the article, we seek to clarify one particular point of fact. The article asserts that during Baker’s time at Swarthmore, the economics department was “dominated by conservatives.” We cannot be sure exactly what is meant by this statement or how Paul Wachter, the author, came to view it as accurate. Nonetheless, we have previously run across similar statements and would like to offer our perspective. We began our studies at Swarthmore soon after Baker graduated and probably remember many of the same economics professors. To the best of our knowledge, the great majority were liberal to moderate. We had many disagreements about what we were being taught at Swarthmore, but we both recall signs of a vigorous “left” in the department. For example, combining some of our recollections, we recall a microeconomics professor who encouraged one of us to write seminar papers about heterodox economics; two professors who argued in support of Keynesian macroeconomics in honors theory seminars; David Weiman, the deeply skeptical history of economic thought and American economic history teacher mentioned in the article; unorthodox departmental speakers such as Kenneth Boulding, Alfred Eichner, Herb Gintis, David Gordon, Steve Marglin, Juliet Schor, and Sidney Weintraub; and a professor who had fought for more interventionist economic-development policies in an earlier job as an economist at the World Bank. Like almost all mainstream economists in the United States, most of our professors shared the belief that competitive markets were a desirable goal in most cases, but few if any argued for the libertarian approach of Milton Friedman and his Chicago School. Market failures were often discussed and professors often argued in favor of regulation and governmental efforts to redistribute income and wealth, in the vein of Paul Samuelson and the majority of east-coast-establishment economists of the era. On the other hand, few challenged the fundamental assumptions of American capitalism, empiricist social science, and a patriarchal social order in the way they were being challenged at the time by many professors in other departments. These remembrances might reasonably strike a reader of this magazine as indications of a modernist, technocratic politics that was out of step with much of the College’s curriculum, but with memories short, we wish to discourage the unfortunate and mistaken impression that our professors were teaching us the Republican dogma of that time or now. Moreover, in spite of the many heated controversies of the Reagan era, the department’s bread and butter was the modeling and econometrics typical of U.S. economics programs, not freewheeling political debate.